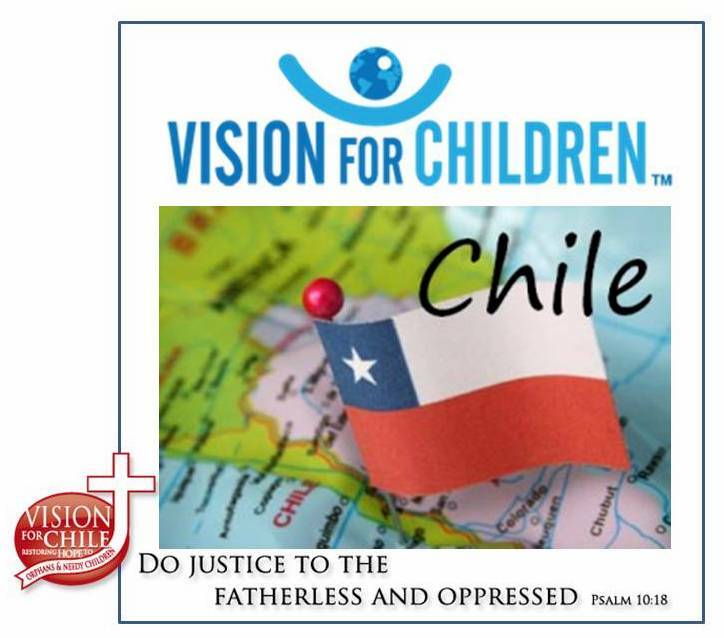 Vision for Chile team one arrived in Santiago on Sunday morning safe and sound. Everyone made it fine through immigration and customs, although some fruits and nuts had to be thrown out first. J After a short bus ride to La Pintana, we arrived at the orphanage. We had time to tour the orphanage grounds, and play and spend time with the girls. We are all staying in a separated bunk house, men on one side and women on the other. We had a wonderful lunch that was prepared by the cook of the orphanage, and then had some free time to rest, shower, or whatever we wanted until 6:30. Some of the team went to the building site which is about 3 blocks from the orphanage. Tom Orme ordered Dominos pizza (tastes just like at home) for dinner. After eating, we had our first team meeting. Everyone shared where they were from and why they were here. It was great to hear everyone’s story and how God has brought together this unique team from several locations in the US. Many shared that in addition to constructing a building, they were looking forward to God moving in a special way in their hearts this week. Bob and Cheryl Fugate (the liaison missionaries) shared a little of their testimony, and taught us the traditional way to greet the Chilean people (with a holy kiss!). Tom went over the dos and don’ts for the team. Tom Orme, Bill Imes, Ryan Grob performed a footwashing to demonstrate servant leadership. After this, a tired team retired to go to bed. However, for some of the team—it wasn’t the end of the night. Unfortunately Paula fell while in the shower, and fractured her wrist. A big thank-you to the ladies who ran for help and got Paula out of the shower, Willie who drove Paula to the doctor, and Ryan Grob who accompanied them on the trip. They got back around 5 am, with Paula sporting a new cast on her wrist. Please pray for Paula for healing for her wrist. Monday started off with a great breakfast at 7 am, followed by Tom Orme challenging the team from I Corinthians 12 to be contributing members of the body. We were led in worship by Jessica, who is the wife of Daniel-the Orphanage director. Jessica also played guitar and Daniel accompanied her on bass. Bill Imes then gave his instructions and then team assignments, and we were off to the work site. After a quick morning of site preparation, we came back to the orphanage for a wonderful lunch. Then back to the work site for many tasks, including building of the walls. As of the end of the day, 1 wall is complete and ready to be put up first thing tomorrow. The new facility is 3 stories, for a total of 7000+ sq feet—the drawings look beautiful, and we are all looking forward to seeing more progress tomorrow. As we write this we are preparing to have dinner with the girls. The team will be split into 7 groups, and are eating in the homes that the girls live in. They are providing dinner (with help from the tias), and we are providing drinks and desserts. We will also be giving a devotional, challenging the girls to live for Christ. Please pray for this special time we have with the girls—that we can show them the love of Christ. The team is still energetic after our first day of work—please continue to pray for us on the work site. We need safety and teamwork. Thank you for your prayers. Previous Post VisionFest is coming to Toledo! It was great to get the first report on the Chile teams in Santiago. The first efforts of building such a large facility always requires a considerable effort from everyone and of course to quote a Bill Imes saying, BE FLEXIBLE! Glad to hear that all arrived safely and that much has been accomplished already. God’s Blessing on all the teams and on Bill Imes and Tom Orme!